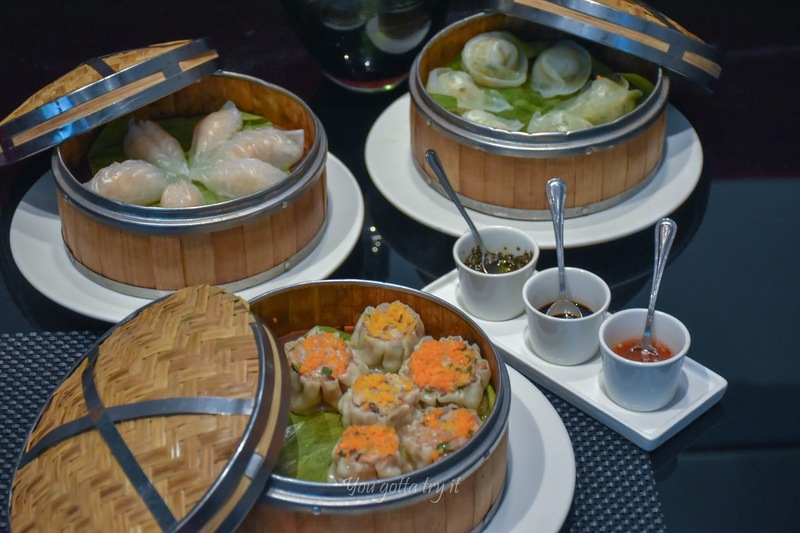 You gotta try it: Enjoy a wonderful Chinese spread at Mahjong Room by ITC WelcomHotel, Bengaluru! Enjoy a wonderful Chinese spread at Mahjong Room by ITC WelcomHotel, Bengaluru! 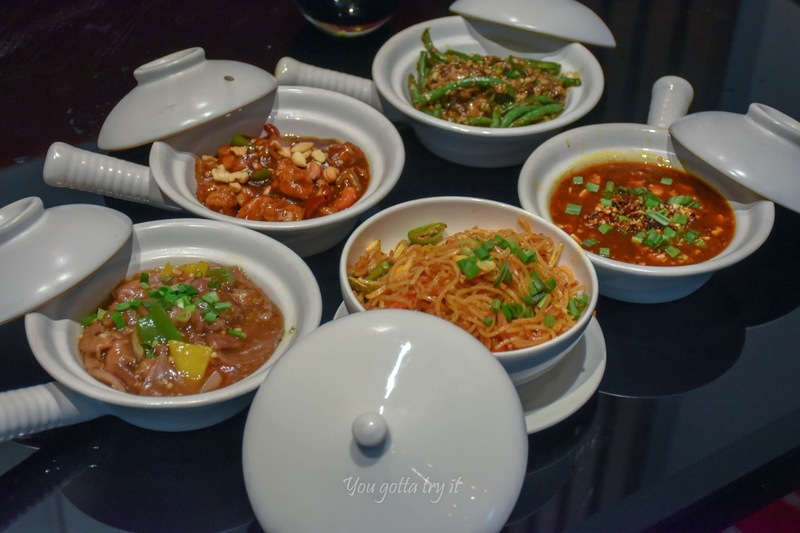 Chinese cuisine is very tricky in most of the Indian cities. 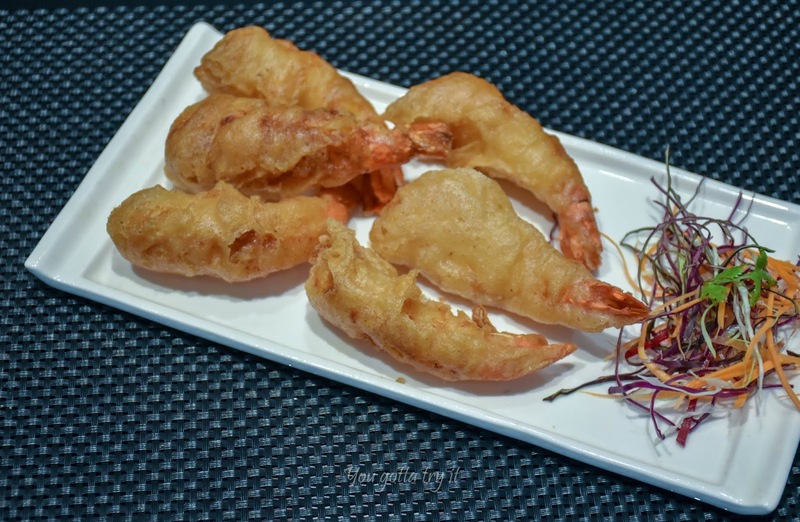 Sometime we will wonder whether the dish we try is anywhere close to Chinese cuisine or not. 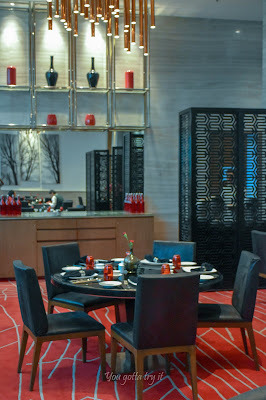 Luckily namma ooru has plenty of good options and the latest addition to this list is Mahjong Room by ITC WelcomHotel. 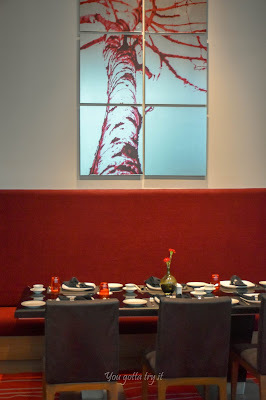 The name of this Chinese gourmet restaurant itself is very catchy – Mahjong; a favorite game of mine. 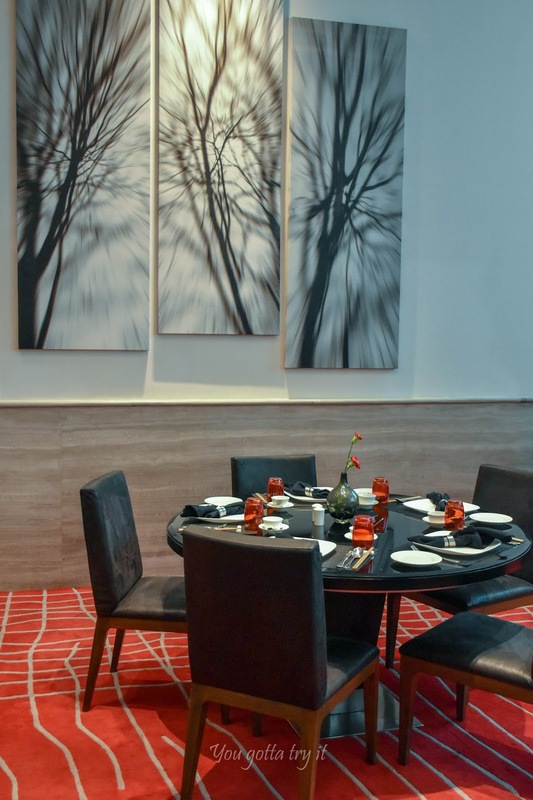 Located near Hosmat Hospital -Richmond Road, this hotel is hardly a few months old. 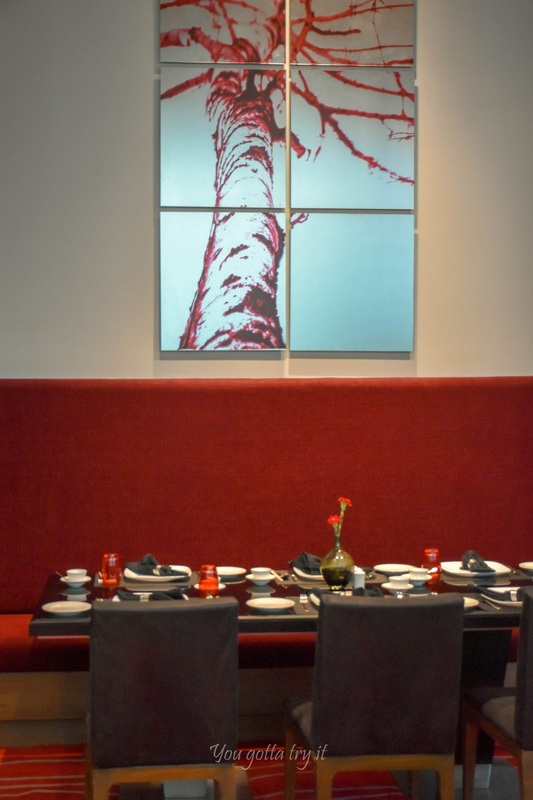 They have great interiors with hues of red and black shades which creates a soothing atmosphere. It’s believed that for good conversations round table is the best and we chose the same while dining. 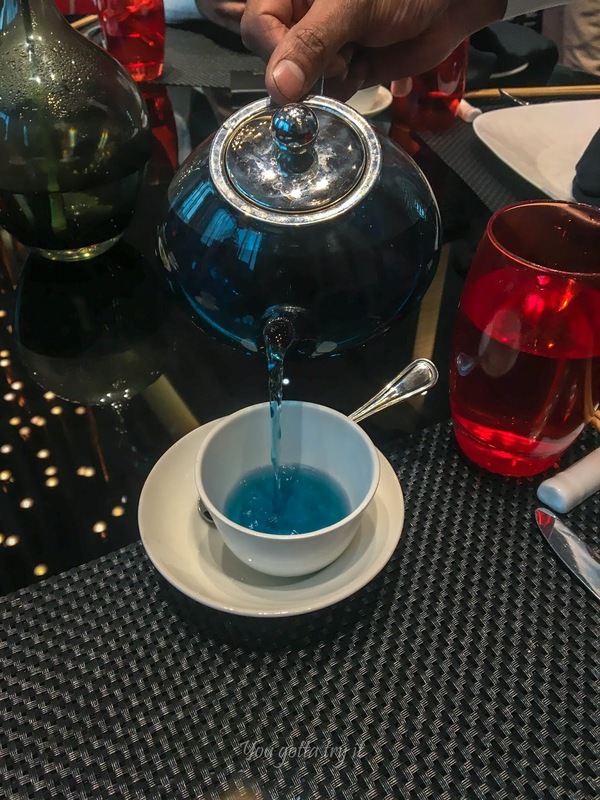 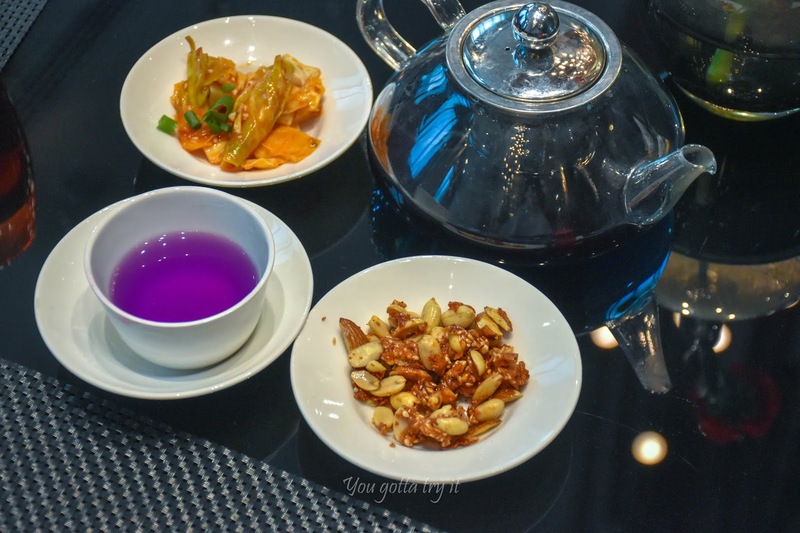 As a welcome gesture, they served us spicy caramelized peanuts, Kimchi and Butterfly pea flower tea. 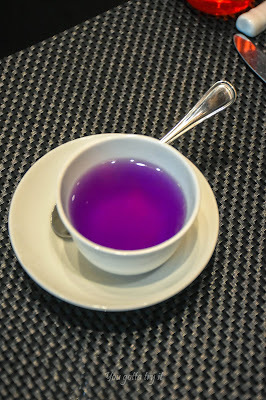 The tea color changed from Indigo to lavender when lemon drops were added to it. 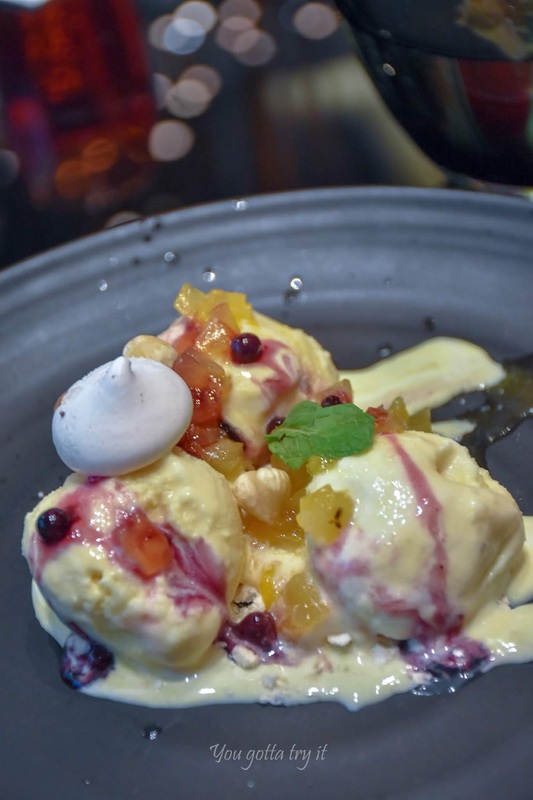 The Executive Chef- Dhaval Ajmera was around and he gave us more details about the restaurant and it’s a great feeling when you see how passionate Chef is about his creations. 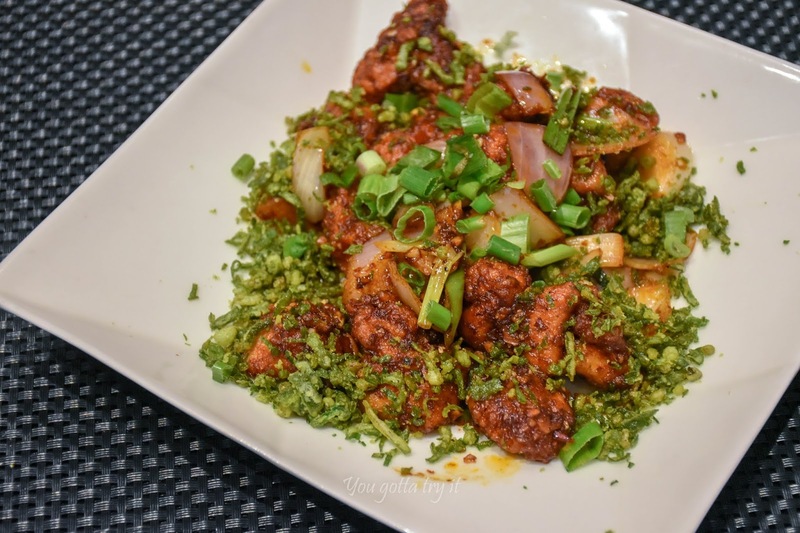 We tried the Chef’s special menu and the ‘Crunchy corn kernels’, ‘Crispy lotus stem with sesame seeds’, hot hot ‘Chicken Sui Mai’, ‘Shrimp Hargao’, and ‘Golden fried Tigers prawns’ were the best I had in recent times. 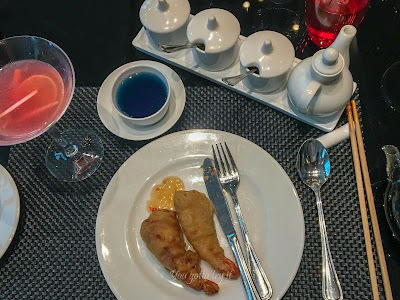 Along with these amazing appetizers we ordered a few cocktails. 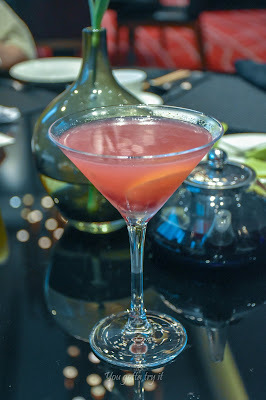 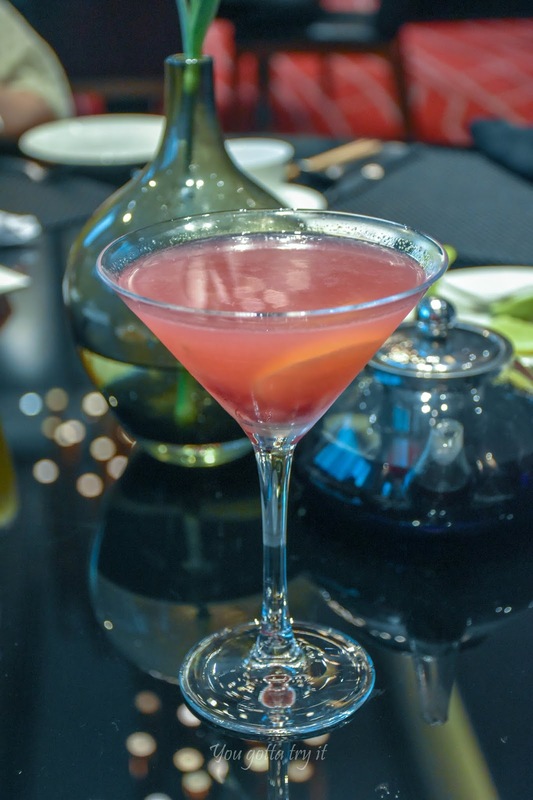 I tried a Vodka based drink, ‘The Shanghai Gesture’ -which had interesting flavors of Aniseed and Pomegranate. 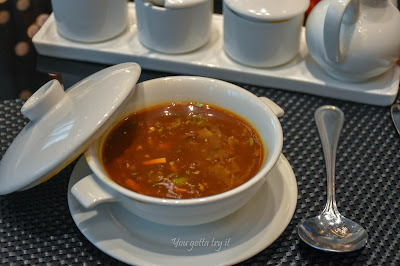 The 'Sichuan Hot and Sour soup’ is perfect to please the Indian palate. 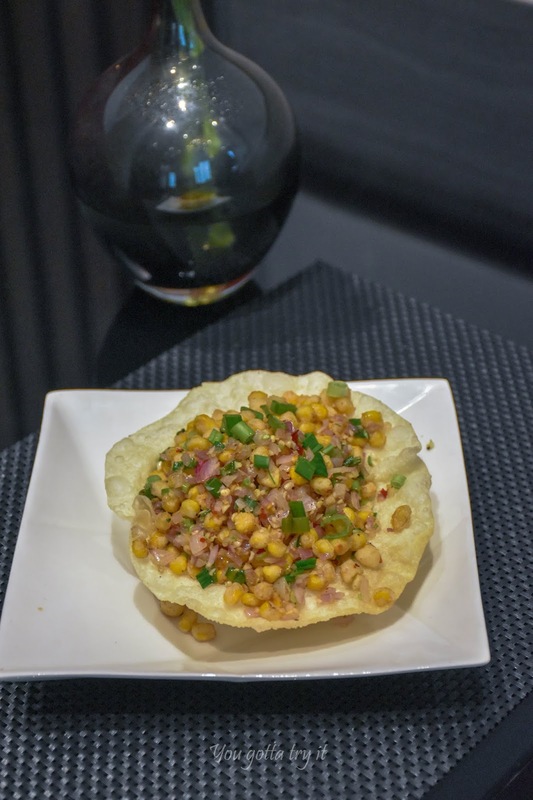 Not only this soup, but a few Chinese dishes too will have that Indian influence. But my perception completely changed when they served us the main course which had ‘Ma Po Tofu with Black bean Chili flakes’, Double fried beans with minced mushrooms and pickled chilies’, Cantonese lamb with simple ingredients, ‘Gong Bao Chicken Dry Chili, Cashew nuts, Sugar and Vinegar’ and Chili Garlic Noodles. 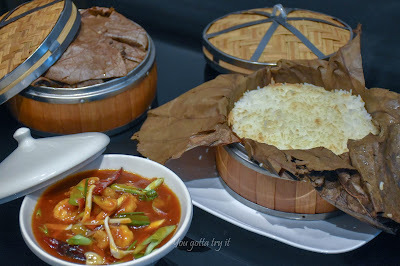 The Ma Po Tofu had Silken Tofu which was literally melt-in-mouth stuff. 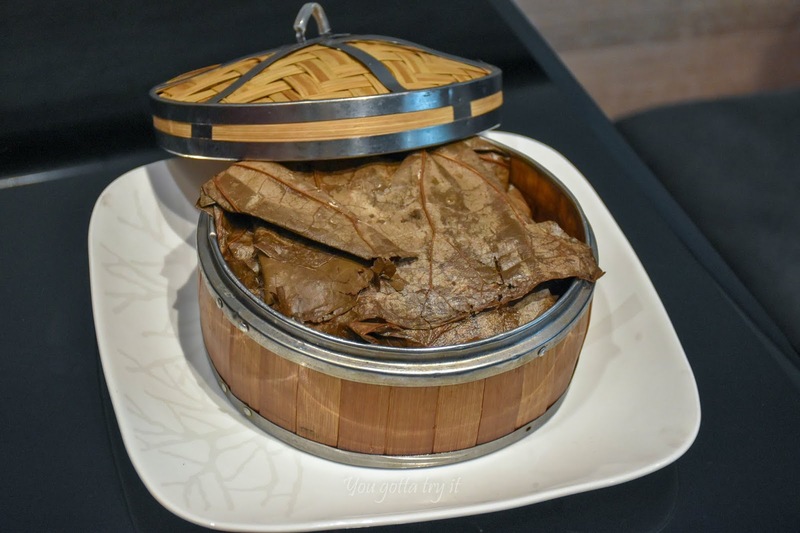 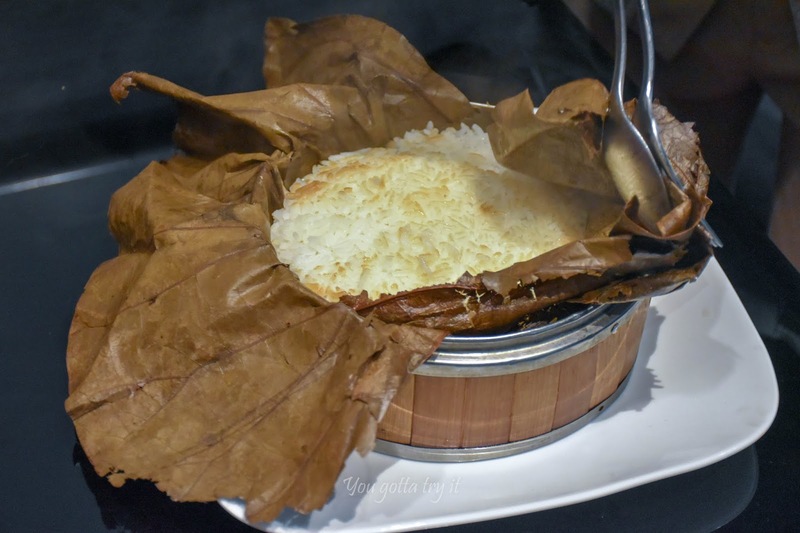 The best combo came at the end – the fragrant packed Lotus leaf wrapped Jasmine rice and Hot and Spicy Hunan Prawns. I really enjoyed every morsel of it. For desserts, I loved the ‘Passion Fruit Coconut Lime Shortcake’ than the ‘Hot Chocolate Cookie Over Fudge’. Both desserts were good but I prefer more tropical flavors and enjoyed every bit of tender coconut and passion fruit ice cream which had sour lime flavors and dry apricot compote. 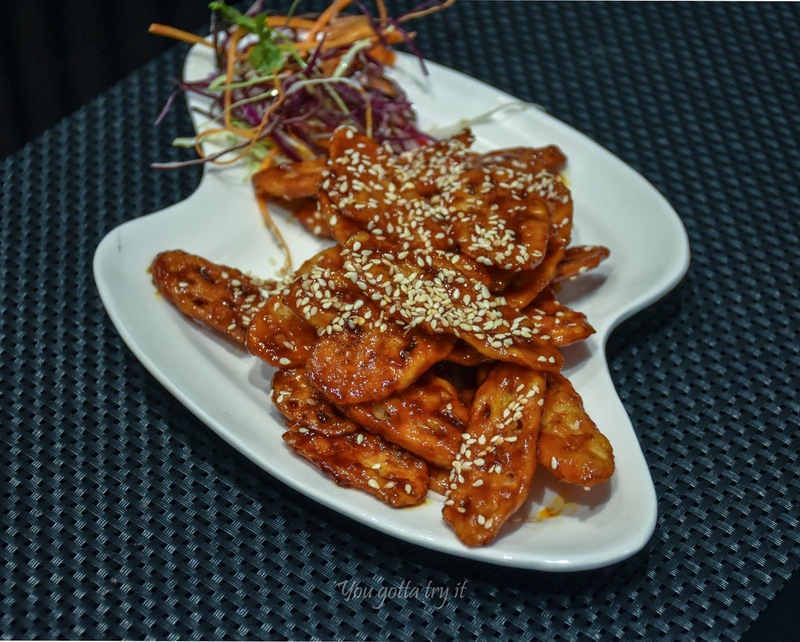 Apart from the ‘A la carte’ menu they also have a set menu (ideal for corporate people) which is priced ₹599/- and ₹699/-. 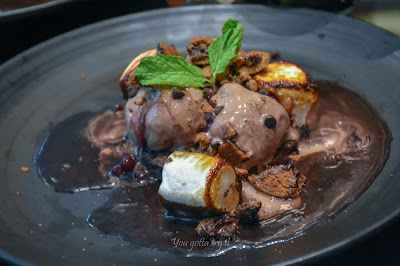 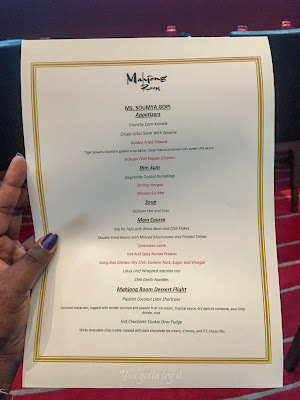 Overall I had a great lunch at Mahjong Room and would love to visit again for most of the dishes I tried here and also for the other interesting stuffs from their menu.